MILLIGAN COLLEGE, TN (Oct. 14, 2013) — Milligan College alumna Laura Buffington will speak at Milligan on Thursday, Oct. 24, at 11 a.m. in the Mary B. Martin Auditorium of Seeger Memorial Chapel. The event is free and open to the public. Buffington serves as creative director and spiritual formation pastor at SouthBrook Christian Church in Miamisburg, Ohio. In addition to her work at SouthBrook, Buffington speaks at conferences for high school and college students. Earlier this year, she was recognized as one of Christian Standard’s “40 Leaders Under 40.” Christian Standard is the principal magazine connecting congregations in the interdenominational fellowship whose congregations usually are known as Christian Churches or Churches of Christ. “I am committed to helping the church tell its good stories whether through teaching, writing, creating or conversation,” Buffington said. 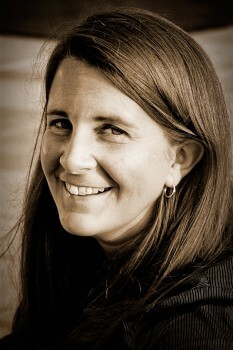 She graduated from Milligan in 2000 with a Bachelor of Arts degree in Bible and sociology. She earned her Master of Divinity degree from Emmanuel Christian Seminary in Johnson City, Tenn.
Buffington will deliver a message titled “The Edited Version,” which focuses on how correction from others prepares Christians to accept the correction and refinement that come from God.